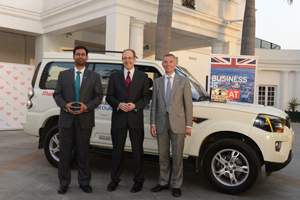 The Indian leg of the Ricardo Global Challenge around the world charity relay reached the capital of New Delhi yesterday, where a reception and business networking event was hosted at the residence of the British High Commissioner. 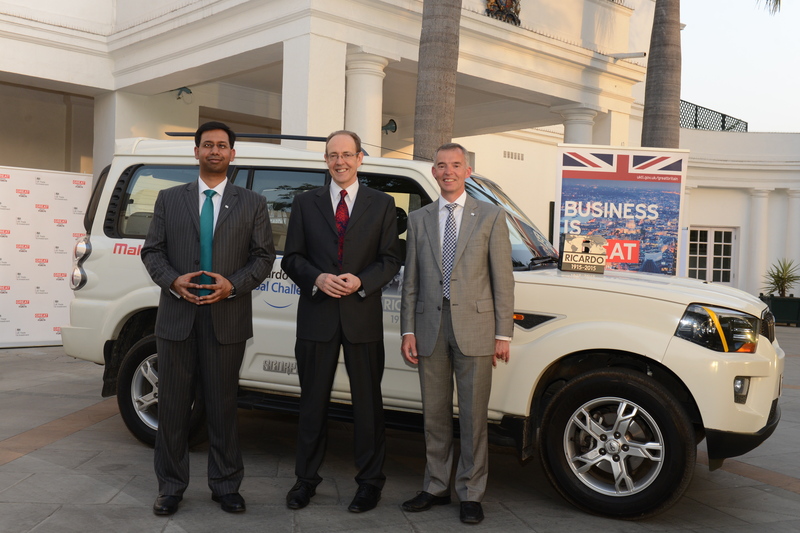 For the Indian leg of the Ricardo100 Global Challenge, the Ricardo India team is driving a New Generation Scorpio from Mahindra & Mahindra Ltd. The vehicle’s 5MT320 five-speed manual transmission, the result of a design and development collaboration between Ricardo and Mahindra engineers, is a part of the new generation platform on which Mahindra has built its New Generation Scorpio. Following the reception, the Ricardo India team is now driving from New Delhi to the foothills of the Himalayas in the state of Himachal Pradesh. After this, the Ricardo100 Global Challenge will move on to China, Japan and the United States, before returning to the UK in July. 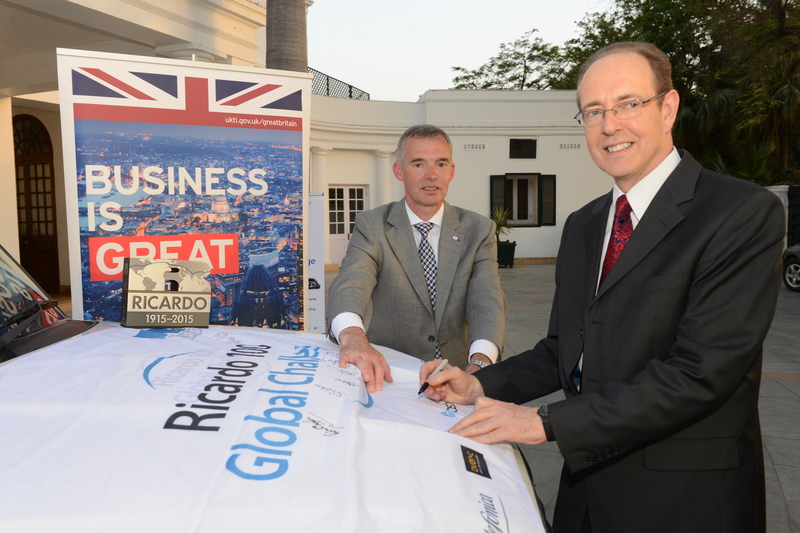 The Ricardo100 Global Challenge is being run as part of the company’s celebrations of the 100th anniversary of its formation in 2015. Teams of Ricardo employees are taking part in sections of the relay using vehicles of significance to Ricardo’s past and present, visiting places of significance to the company, as well as events such as the reception and business networking session in New Delhi. The teams are raising money for local, national and international charitable causes, and Ricardo has pledged to match the first £15,000 in total donations. A full list of the charities supported can be found on the Ricardo100 web site, including links and information on how to donate: http://www.ricardo100.com/Ricardo-100-Global-Challenge/Charity-Fundraising-(1). For further information as the Ricardo100 Global Challenge progresses, follow @Ricardo100Years and the hashtag #Ricardo100 on Twitter, or see the real-time tracking updates at http://ricardo100.com/tracker.